Yami Yugi, Jaden Yuki e Yusei Fudo 1. . Wallpaper and background images in the Yu-Gi-Oh club tagged: yu-gi-oh yugioh anime. Why does that School Uniform look familiar? 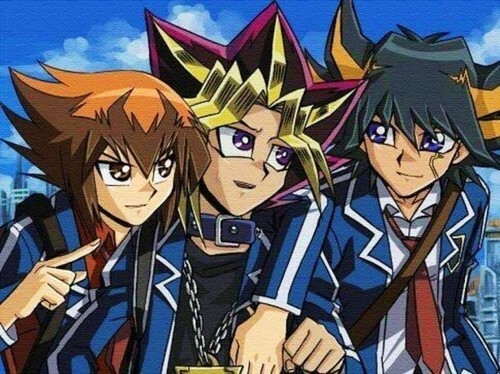 Why is yami yugi in this pic I thought atem left after dueling with yugi and lost?